This salad was a big hit at Christmas’ brunch last Saturday. It was one of the simplest things I served, yet it was gone in a heartbeat; and everybody asked for the recipe. Which got me thinking: is there really such a thing as a recipe for a salad? Well if you consider super-fancy salads, then yes. But this...this is more of an idea. Anyway, as all my guests enjoyed it so much, I decided to share this recipe/idea with you. Before we move onto the recipe, let me ask you a question: why fennel doesn’t enjoy much popularity these days? Seriously. Whereas in many parts of the world fennel is immensely popular, this crop is very much neglected in this country. Albeit used occasionally as a tea, spice or garnish, fennel so crunchy and yummy it should be consumed more. It’s surprisingly juicy and refreshing, with a mild yet not overwhelming licorice flavor. Once people taste it, they start clamoring for it. Plus it’s full of health benefits. 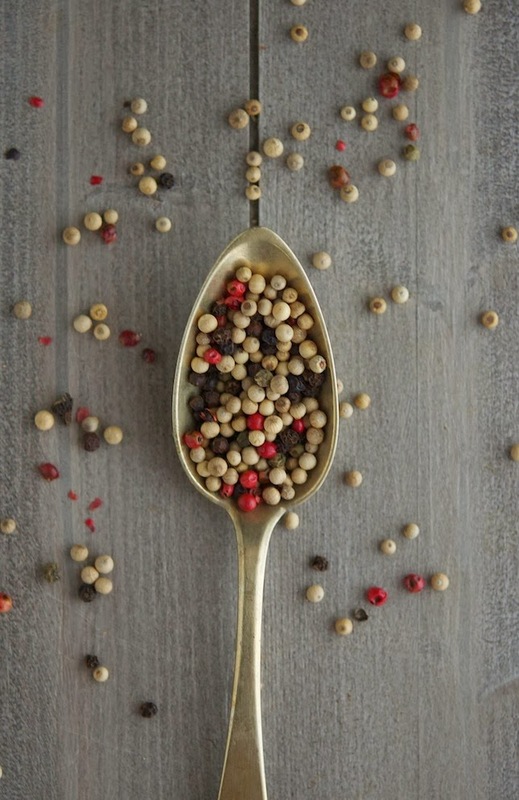 It boast a unique combination of phytonutrients and powerful antioxidants; so many actually that its essence is widely used around the world in mouth fresheners, toothpastes, desserts and antacids. So yeah, get on board with fennel asap! What can I say about this salad? 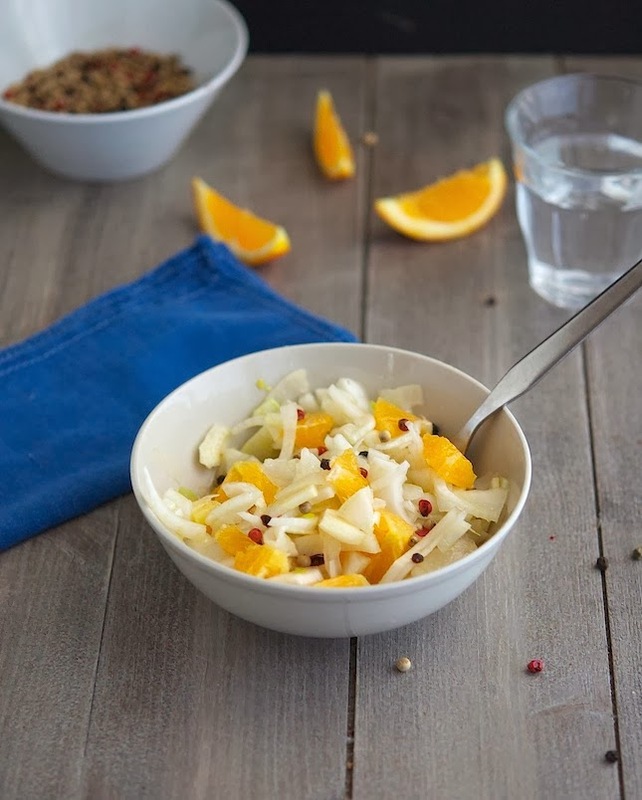 Well, the orange-fennel combination really gives this salad a unique flavor. So refreshing it’s the perfect complement to fall/winter savory foods. 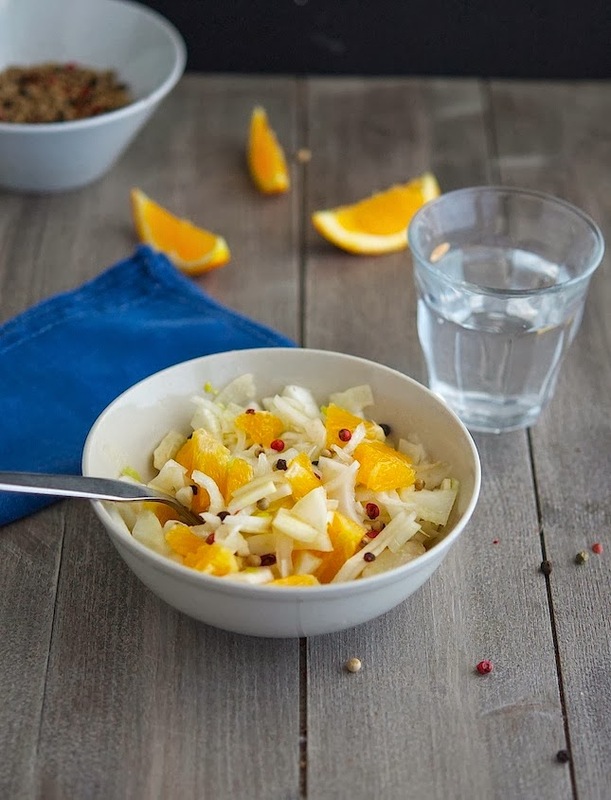 A Simple Fennel, Orange and Pepper Salad Print this recipe! In a large bowl, whisk together vinegar, oil and salt. Set aside. Using a sharp knife, slice off both ends of each orange. Following the curve of the fruit, cut away the peel and white pith. Halve orange from top to bottom; thinly slice crosswise. 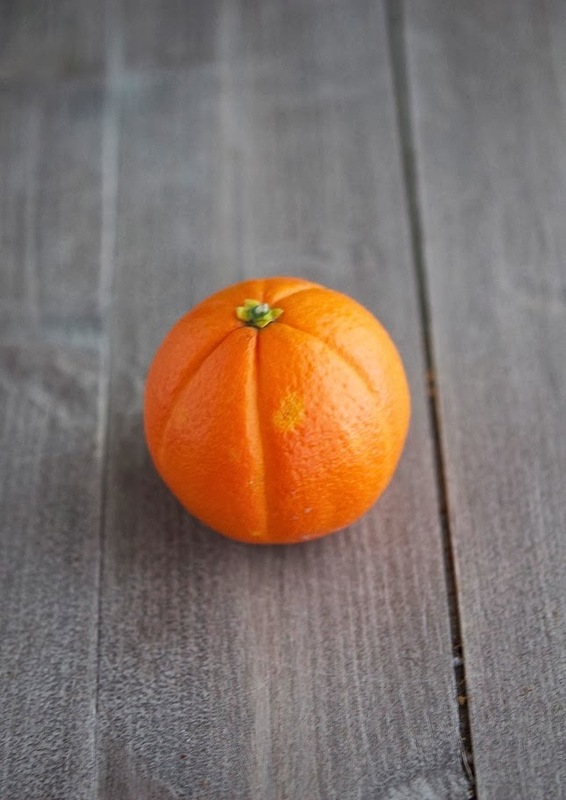 Transfer oranges, along with any juices that have accumulated on work surface, to bowl with dressing. Add fennel and black pepper. Toss to combine. One serving yields 130 calories, 7 grams of fat, 17 grams of carbs and 2 grams of protein. This salad sounds very tempting, I wanna try it! This sounds delish and looks so pretty too! Have a very Merry Christmas. Simply delicious, looks beautiful and I'm sure it's tasty and crunchy too. A Merry Christmas to you and your family, Mike! Hi Mike, that's a refreshing salad. Excellent click! Merry Christmas to you and family. Have a great holiday. Orange and Pepper just squirt to my ears! This Healthable Old Soul is going to have to try it out!